This is especially true when it comes to figuring out job titles for the various employee positions in your company. Your business may have grown in recent years, going from a two business outfit to a thriving enterprise with ten or more people. Having job titles is not an absolute necessity, but it can be hugely beneficial to your company. Properly defined job titles can help to create and define organizational structure. After all, job titles describe what a person does. This allows everyone to know who is in charge of what areas of work, who reports to whom, and who is the proper point of contact for a particular area of business. Think of it this way: if you designate one person to be in charge of business development (such as a sales representative) and another person to be in charge of internal operations (such as a project manager), each will have a clearly defined role within your company. Everyone will know what they do — and what to expect from them. Establishing job titles for your employees is one way in which you can create a clear organizational structure, which can ultimately help your business run more smoothly. Job titles can also help convey an individual’s position and experience to others, both within and outside of the company. When one of your employees interacts with people outside of your business, having a job title will help him or her in establishing authority. Similarly, a job title is useful within a company for defining roles and helping everyone within the business understand where they fit into the larger hierarchy. When it comes to hiring, recruitment and retention, job titles can be a tremendous asset. Having a clearly written job title can help candidates understand exactly what it is that you are looking for, and whether or not they are qualified for the opening. If you are looking to fill a specific position in your company, such as a software engineer, you can use the job title as a simple shorthand to narrow down the people who will be applying for the job. For existing employees, a new job title can be a great motivator. Promoting an employee to a more senior level — a senior software engineer, for example, or vice president of sales — can be a huge morale boost. This can be particularly important if you can’t afford to give large raises or other perks as a way to retain employees. Of course, there may be some situations, in which assigning job titles to employees may be counterproductive. 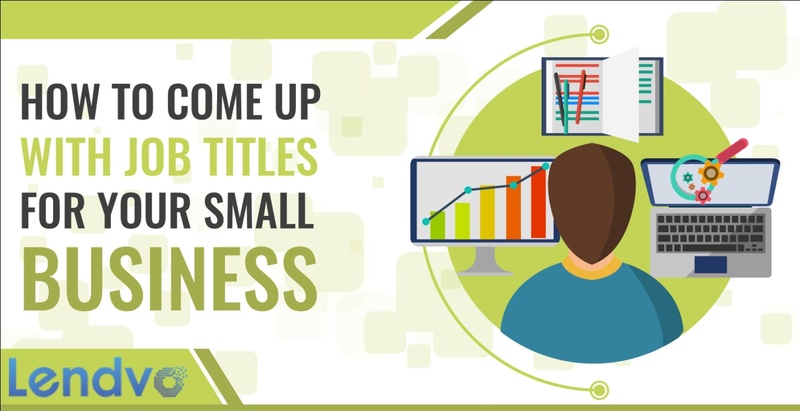 If you have a small business of fewer than five employees, it might be unnecessary to give each person a formal title. Otherwise, if you have existing problems within the company — such as in-fighting between employees — then assigning job titles might create more problems than it solves. You should also be prepared for some employees to be angry if they do not get the job title that they think that they deserve, especially if they have been working at the company for a while. Once you have decided to use job titles, the next step is figuring out how exactly you should go about doing it. There are numerous possibilities that depend on the type of business that you run, the size of your business, and the number of employees that you have. The process should begin by evaluating what each employee does within the company. First, list the department that each employee works in, such as sales, accounting or accounts receivable. Next, list the employee’s rank, if applicable (senior, junior, etc). Then describe what the employee does or manages. If the employee works in sales, this might include the specific territory that the employee covers. If he or she works in accounting, it might describe the specific finances that he or she is accountable for at the company. You should now have a rough title, such as “Senior Sales Representative for Green Bay.” With this in mind, you should ask yourself two additional questions — (1) if this title is something that can be used externally as well as internally; and (2) if it a title that can fit in with the rest of your company’s structure and culture. Making sure that the title is something that can be used both within and outside of the company is critical to ensure that the person’s title conveys the appropriate authority and decision-making ability to customers, clients and industry peers. Similarly, ensuring that the title is appropriate for your company is important to make sure that the job positions that you are formulating are appropriate for your business. For example, if you maintain a casual, relaxed atmosphere at your company but start handing out titles such as “Vice President of Sales,” it may impact the culture that you have worked to cultivate. However, if you run a professional firm, having these titles may be expected by your clients, and vital to your overall success. Once you have come up with job titles for each of your employees, take a step back and see how they each fit together in your organizational chart. Do the job position titles that you have developed work together cohesively? Or have you created redundant titles? Examine the titles, and reassign positions as necessary to make sure that they work for your organization as a whole. Once they fit within your business-wide structure, you will be closer to rolling out the job titles for your employees. There are a number of traditional job titles that can be conferred upon employees. These may include Chief Executive Officer (CEO) or President, for the person tasked with running the company. A Chief Financial Officer (CFO) typically leads the financial department of a business. Sales or Account Representatives handle sales or manage accounts on behalf of a company. Project or Product Managers handle project teams or product lines for a business. Other titles could include Office Administrator or Manager, Accountant, Software Engineer or Developer, and Director or Managing Director. Each of these titles can be graded according to rank — senior or junior — and can be linked to a specific department based on the process above. Small business owners can also get creative, developing job position titles based on their company’s unique services and the skills required for the job. However, be sure that the titles that you develop have meaning outside of the company; your employees will need to use these titles to solicit business, make contacts and network in the business world, so having some connection to standard job titles is important. If you are developing job titles for the first time, it may be a difficult transition for your employees who have always worked as a team — and without formal titles. For this reason, it is important to develop a plan for how you will tell your employees about their new job titles. As an initial matter, it is important to tell your team about what you are doing (creating job titles) and why. Understanding the rationale behind creating job titles — such as business development or recruiting new employees — can help your staff get behind the idea and greet it with optimism. When rolling out the new titles, keep your employees’ personalities and egos in mind. Taking into account these potential sensitivities can help to avoid issues, such as an older employee being offended that a younger employee got a more impressive-sounding title. Being open to reasonable feedback can help to alleviate some of these issues, as long as you remember that it is ultimately your decision to make. Finally, present the job titles to your staff, either individually or via a team meeting. Having the job titles in an organizational chart can help your employees make sense of their place in the overall structure, and understand how the company works as a whole. Job titles are a great way to add structure to your small business. With some strategic planning, developing job position titles for your employees can help your business grow.